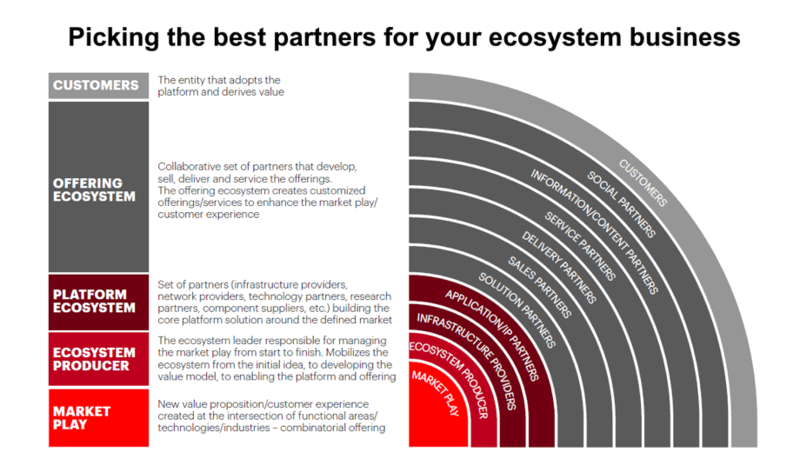 Would your business make a good ecosystem partner? Four key steps that will help insurers build successful ecosystem businesses. Ecosystem partnerships offer insurers huge opportunities to strengthen their businesses and drive up profits during the next five years. 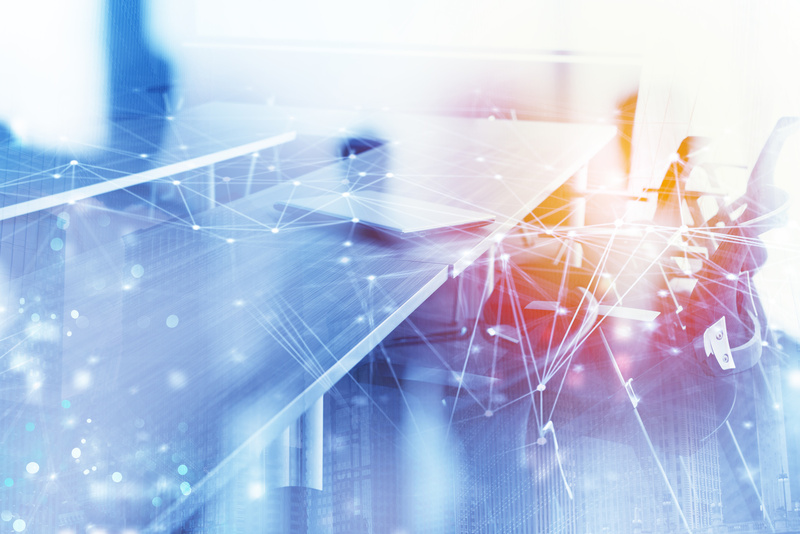 By combining their operational expertise, technology resources and industry knowledge with strategic partners, insurance providers can capitalize on the digital disruption that is sweeping all sectors of business. They can increase their capacity to innovate, access new markets, reach additional customers and boost revenues. However, many insurers are ill-prepared to benefit from the ecosystem boom. Our research shows that insurance providers lag companies from sectors such as telecommunications and banking in their readiness for ecosystem partnerships. Only health providers and retailers are less prepared. The main drawbacks for insurers looking to secure ecosystem partnerships are their frequent lack of the necessary strategy and vision and the absence of an appropriate technology architecture. When we asked insurance executives to assess their company’s ecosystem capabilities only 27 percent identified their strategy and vision as a strength. 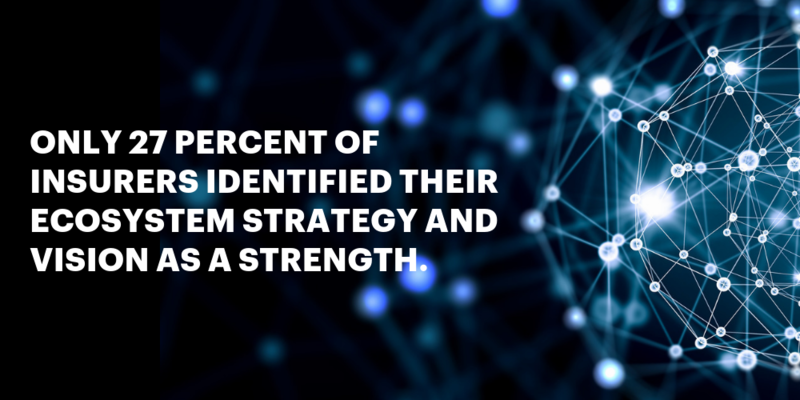 Just 31 percent described their technology architecture as a strength. They were more confident about the compatibility of their company’s technology with prospective partners (52 percent identified it as a strength), innovation capabilities (43 percent), culture (40 percent) and talent (33 percent). Among banking executives, in contrast, strategy and vision was rated a strength by 42 percent of respondents and technology architecture was seen as a strength by 45 percent. Technology compatibility was rated strongly by 68 percent of banking executives, innovation capabilities 57 percent, culture 53 percent and talent 54 percent. How can insurers catch up? As I mentioned in an earlier blog post [Link], many insurers have yet to devise effective ecosystem strategies because their executives are reluctant to relinquish control, especially control over data. Ecosystem partnerships definitely involve risk, but such risk can be managed. Unless insurance executives overcome their reluctance to share their company’s data, as well as their technology resources and business strategies, with key partners, they’re likely to miss out on the huge business benefits that ecosystems can deliver. We’ve identified four key steps that will help insurers, and other big companies, build successfully ecosystem businesses. Define your strategy: Identify business opportunities with substantial revenue potential that are likely to emerge from increased digital disruption. Define an ecosystem strategy to capitalize on these opportunities. It should comprise a clear vision, business case and roadmap. The roadmap should describe how the ecosystem will incubate, launch and upscale new products and services. Claim your role: Digital ecosystems enable businesses to find new ways to create value by connecting partners, content providers and customers. Select an ecosystem role that best suits the company’s long-term goals. Such a role, for example, could be that of an ecosystem innovator that defines and leads innovation, an aggregator that facilitates transactions across an ecosystem, or an orchestrator that links digital platforms with a variety of business partners. Pick your partners: Each participant in an ecosystem business makes a unique contribution to the success of the venture. Careful selection of partners is essential. Critical contributions include product offerings, the customer experience, technology platforms and ecosystem management (See illustration below). Launch the ecosystem: Once ecosystem partners have come together with a common vision and a clear understanding of their roles and objectives, they can then prepare to launch their business. This requires careful planning and testing of the ecosystem design as well as the launch of various pilot projects. Trials need to show that the ecosystem can gain early traction, manage risk and quickly upscale. For further information about building an ecosystem business, have a look at these links or send me a message on the facility below. Cornerstone of future growth: Ecosystems. Evolve to thrive in the emerging insurance ecosystem. Ecosystem power plays: Beyond platforms. DARQ technologies: What are they and how will they affect insurers?